FRANKFURT (Reuters) - The head of Deutsche Telekom (DTEGn.DE) warned that Europe's largest telecoms company could face a disaster in its home market if German politicians botch plans for fifth-generation mobile services. 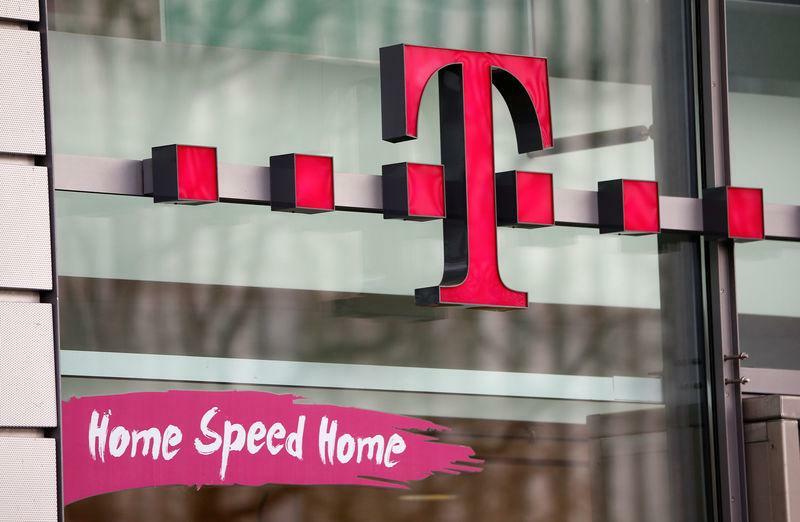 Hoettges shared T-Mobile management's confidence that a $26 billion deal to take over Sprint Corp (S.N) would win the approval of U.S. regulators, as originally foreseen, in the first half of 2019. At the same time, he reiterated his opposition to Vodafone's (VOD.L) proposed takeover of Liberty Global (LBTYA.O) assets in central and eastern Europe, the chief prize being its German subsidiary Unitymedia. Telekom shares pared earlier gains to trade just ahead for the session. They are also broadly flat in the current year to date, outperforming a 10 percent decline in Germany's DAX blue-chip index (.GDAXI).